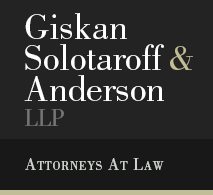 On July 23rd, Wired covered Giskan Solotaroff & Anderson's case against JUUL along with two other cases that criticize the company's practice of deceptively marketing their product as safer, even though "it contains more potent doses of nicotine than cigarettes." The article highlights the widespread mistrust of JUUL due to their misleading advertising practices, showing that both adults and children were made unaware of the device's adverse effects. GSA is continuing to work on the case for D.P. and his mother and to seek some form of relief.